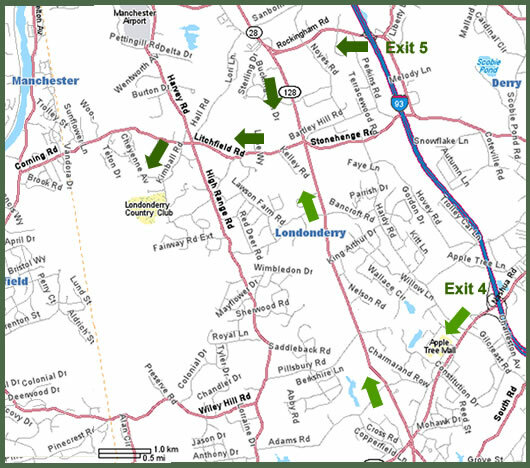 Located just south of Manchester and only 45 minutes from Boston's city center, Londonderry Country Club is 1.5 miles off Route 128/Mammoth Road in North Londonderry. Need help ? Call (603) 432-9789.